Nowhere else in Europe has China’s Belt and Road Initiative (BRI) been met with such a warm embrace as in Central and Eastern European Countries (CEEC). The cash-strapped economies of Europe’s Eastern periphery are hoping that Chinese infrastructure financing and investment will drive economic growth. Even if the economic outcomes on the ground have been varied so far, China’s intense political engagement with the CEEC poses a growing challenge to the EU, and requires not only a cohesive strategy from Brussels, but also the biggest EU member states to revisit their China policies. Otherwise, they risk further tilting the EU-China balance of power in Beijing’s favor. Beijing’s economic and political advances in the region are hardly news. As early as April 2012, China created a distinct, sub-regional economic and political cooperation format with 16 CEEC, the “16+1 platform.” Made up of 11 EU member states—Bulgaria, Croatia, the Czech Republic, Estonia, Hungary, Latvia, Lithuania, Poland, Romania, Slovakia, and Slovenia—five EU neighborhood countries—Albania, Bosnia and Herzegovina, Macedonia, Montenegro, and Serbia—and China, the 16+1 celebrated their fifth anniversary in late November 2017 at a high-level summit in Budapest. China’s large-scale financing of highways, railways, ports, and other infrastructure to better connect China to Southeast Asia, Africa, the Middle East, and Europe on the back of the BRI has clearly struck a chord with CEEC leaders. This is hardly surprising; the CEEC still display a remarkable infrastructure gap, especially when compared to Western Europe. Rather conveniently, China has pledged an estimated €12.7 billion in investments in CEEC infrastructure since the launch of the 16+1 platform. The five non-EU 16+1 countries expect to benefit in particular, with China offering an alternative to notoriously unreliable Russian financing and EU or multilateral development banks that, in the Balkans, are seen as administratively cumbersome and heavy on reform requests. In cooperating more closely with China, the 16+1 CEEC countries also hope for an inflow of foreign direct investment in a wide range of sectors. In November 2016, the Industrial and Commercial Bank of China established a €10 billion fund to finance investments in sectors such as high-tech manufacturing and consumer goods. 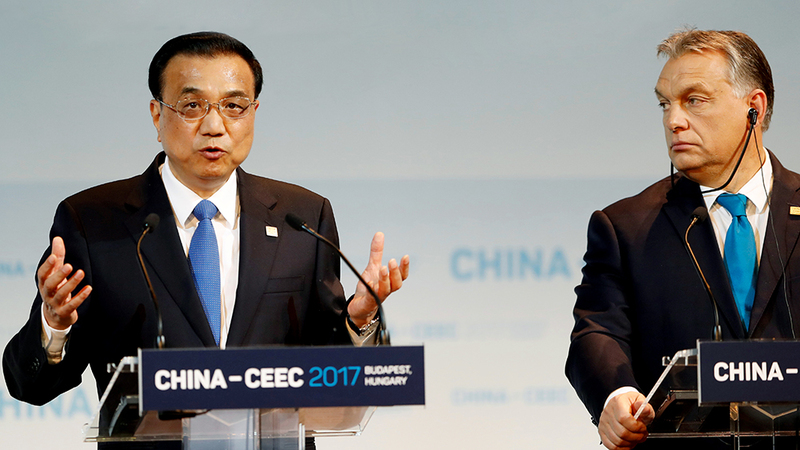 At the Budapest Summit, Chinese Premier Li Keqiang pledged additional money. China has also promised substantial investments in CEEC countries at a bilateral level, underlining that 16+1 is also an important tool for the CEEC to strengthen their bilateral economic and political ties with Beijing. Aside from the lures of potentially growing Chinese investments, 16+1 has been highly attractive for Central and Eastern European leaders, as it promises to upgrade their countries’ political standings with Beijing—and by extension the rest of the EU and even the United States. Yet the political dimension cannot disguise the fact that Chinese economic promises have so far not been matched by action. The few China-financed infrastructure projects currently underway in the region—notably, all of them are in the five non-EU 16+1 countries—suffer from the same problems that have plagued BRI projects in other parts of the world: Chinese loans are linked to Chinese companies performing all, or at least substantial parts, of the projects to be delivered. As a result, capital associated with individual projects fail to provide a lasting stimulus to local economies. In the 16+1 EU member countries, the economic picture is similarly bleak. In February 2017, the European Commission opened a formal investigation into the flagship BRI construction project in Europe, a €2.45 billion high-speed rail link between Belgrade and Budapest. Brussels has expressed doubts about the financial viability of the project and its compliance with EU public procurement rules. Overall, Chinese loans for large-scale infrastructure remain rather unattractive in light of existing EU financing, such as the EU’s structural cohesion funds, the European Fund for Strategic Investment (EFSI), and the Trans European Transport Networks (TEN-T), which tend to come as partial grants. However, even if China’s infrastructure financing and investments in Central and Eastern Europe were to significantly expand in the years ahead, this would only create another set of fundamental challenges for CEEC economies, since a key rationale underpinning China’s economic engagement is opening up local and Western European markets to Chinese products and services. Already, the CEEC trade relationship with China is characterized by massive trade imbalances. The countries having attracted the most Chinese investment to date also have some of the biggest trade deficits. As China seeks to expand its political footprint, the political damage to the European Union is already visible. For some time now, the EU has been unable to act cohesively towards China on what have been trademarks of EU foreign policy, namely upholding the international rule of law and protecting human rights. In March 2017, Hungary derailed the EU’s consensus, refusing to sign a joint letter denouncing the reported torture of detained lawyers. In June 2017, Greece—a 16+1 observer and major beneficiary of Chinese investment in recent years—blocked an EU statement at the UN Human Rights Council criticizing China’s human rights record. This marked the first time the EU had failed to make a joint statement at the UN’s top human rights body. Similar instances of CEEC blocking EU statements on China have occurred since. Current discussions in Brussels about creating a European investment screening mechanism, which is geared initially at Chinese strategic investments in European high-tech industries, will become a litmus test for the EU’s ability to act decisively on China. Chinese investments have already prompted individual 16+1 EU members to challenge the current proposal. Opposition is also building up among EU accession countries with sizable Chinese investments. Even if the EU manages to adopt the mechanism by summer 2018—as is currently envisaged by the biggest member states—this will not help overcome what is already a central theme in European China policy-making: a growing lack of trust between the Eastern and the Western member states. In light of these developments, Brussels has set up a working group to develop a European narrative and strategy for engaging with China’s BRI and its economic offensive in the EU and its neighborhood. An internal EU strategy paper is due to be released this year. Key recommendations are already clear: the European Commission should actively close infrastructure financing gaps that China would otherwise seek to fill, earmarking European resources from the structural cohesion funds. EU member states also need to make sure that the post-Brexit 2020 EU budget will not result in a significant reduction of funding for the CEEC and thus a greater opening for China. At the same time, the EU will need to implement more modest measures to align BRI investments in its neighborhood with European interests. These include enabling third countries to properly evaluate, monitor, and prepare large-scale infrastructure projects, including those financed by China. To protect and promote EU norms and standards in the neighborhood, the development policy apparatus of European institutions and EU member states need to support related capacity-building. The EU also needs to leverage institutional frameworks that can help to promote greater convergence of EU investment priorities and principles and Chinese investment activities. This includes channeling as much Chinese infrastructure investment as possible through multilateral frameworks like the EU-China Connectivity Platform and the largely Western-styled Asia Infrastructure Investment Bank (AIIB), as well as through co-financing models involving Chinese institutions and the EIB and EBRD. As China plays to deep political divisions within Europe, it will not be sufficient for bigger EU member states to appeal to Central and Eastern Europeans’ “European sentiment” when dealing with China. Besides strengthening EU solidarity across the board and fighting the rise of populist governments across Europe, France, Germany, and Italy should expand their policy coordination on economic engagement with China to also include Poland. Among the 16+1, Warsaw has chosen to pursue a soberer approach towards Beijing, and therefore might seem susceptible to greater EU engagement on China. 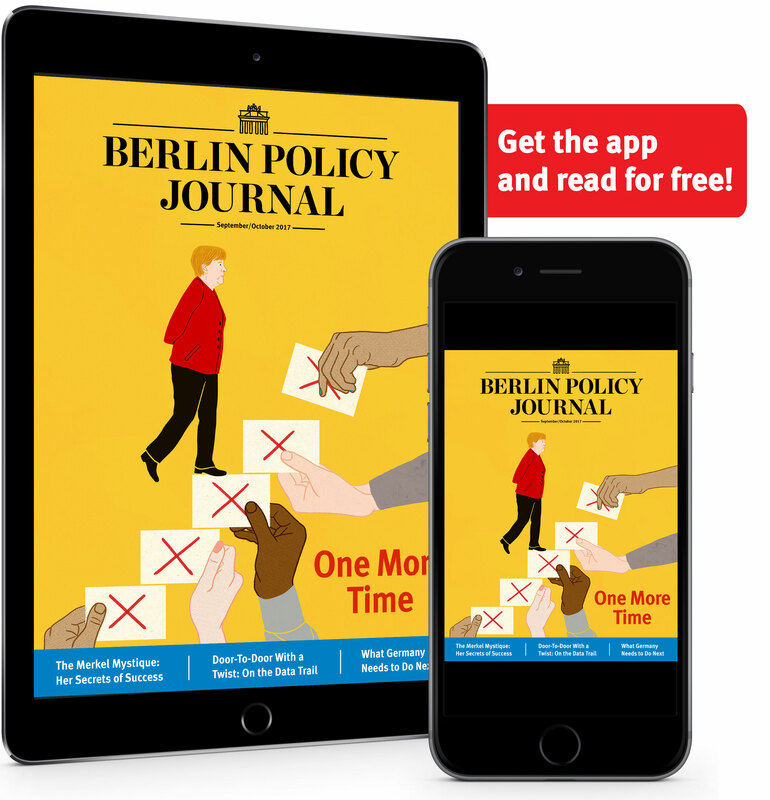 Calling on China to pursue a “One Europe” policy, as German Foreign Minister Sigmar Gabriel did in August 2017, and encouraging CEEC to close the ranks also implies that bigger EU member states need to consider their own hypocrisy. As long as Berlin and Paris pursue their own interests in their relationships with China, they will struggle to convince the CEEC not to use the 16+1 for similar ends. Germany and France should deploy their privileged relationships with China to serve wider European interests. Both Angela Merkel and Emmanuel Macron have recently pointed out how important it was for European companies to get better access to the Chinese market. They also warned about the risks of state-driven Chinese takeovers of European hi-tech companies. CEEC governments, however, do not consider these issues priorities. They hope that Chinese investment will give their economies a push, and that closer relations with Beijing will increase their political influence. 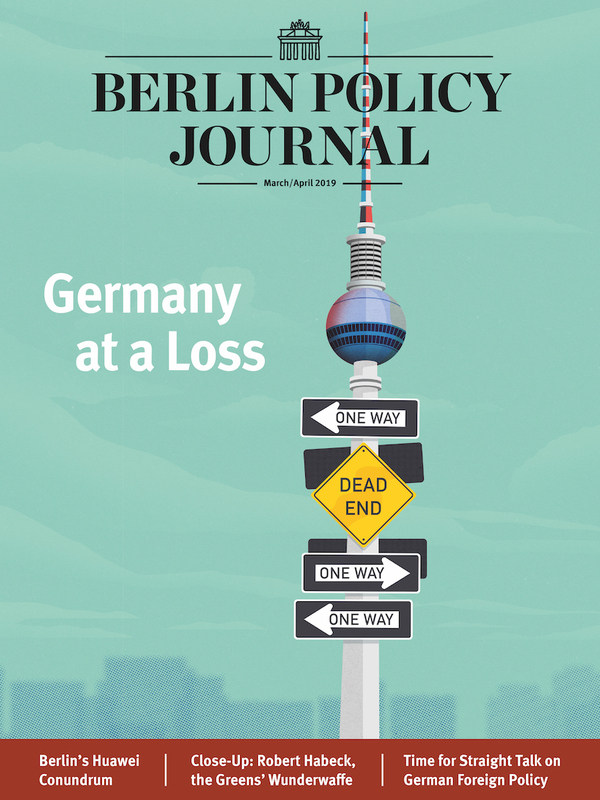 It is up to Germany and France to initiate a debate within the EU to find a compromise for Europe’s policy vis-à-vis China that takes everybody’s interests into account.